For all of our environmentally aware scuba divers who want to – or already do 🙂 – help clean up our ocean environment we now have a specialty scuba training course that can certify our divers’ efforts and allow it to credit toward the PADI Master Diver certification and more. Have you always been a diver that helps collect along the way? Always there to volunteer a hand during the community clean ups? Time to get some scuba credit for it? We’ve got it! The PADI/ Project AWARE Dive Against Debris Specialty is designed to bring the education around marine debris and its critical reality together with the action of removing debris and getting it properly recorded to help our global effort to clean up our oceans! This course will provide more knowledge on debris issues and will empower our divers with the skills to complete Dive Against Debris surveys now and moving forward! This Dive Against Debris Distinctive Specialty prepares student divers to participate and support regular Dive Against Debris surveys (Eco Dive does one every month at least as part of our Adopt a Dive Site commitment! ), join other surveys, or, in case of more experienced divers, to start surveys of their own. This course includes theory background, a dive, treasure sorting and data reporting. 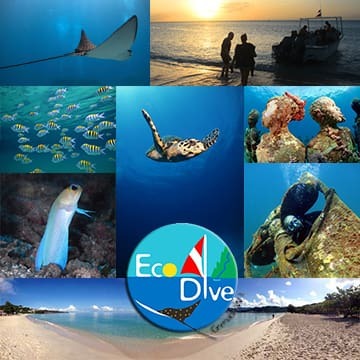 ECO DIVE is part of the 100% AWARE programme meaning we donate $10 USD per student no matter what course we are certifying to Project AWARE an international ocean charity. This course has the extra benefit that PADI donates to Project AWARE too on your behalf for taking part in this course giving us double the contribution per student. You’ll get a certification card like all cert courses. Current St George’s University SGU student? If so let us know on registration and bring your valid ID with you on check in. 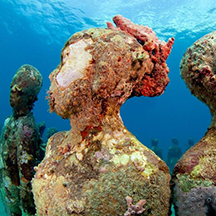 We offer an extra bonus for SGU, an extra dive! Course includes a shore dive for the trash recording analysis and learning how to use the slates and report, and, an afternoon 1-tank boat dive BONUS to continue the effort while exploring one of our reefs or wrecks.